The members will have ultimate responsibility for the trust achieving its objectives. They will agree the articles of association and have power to appoint and remove the trustees. 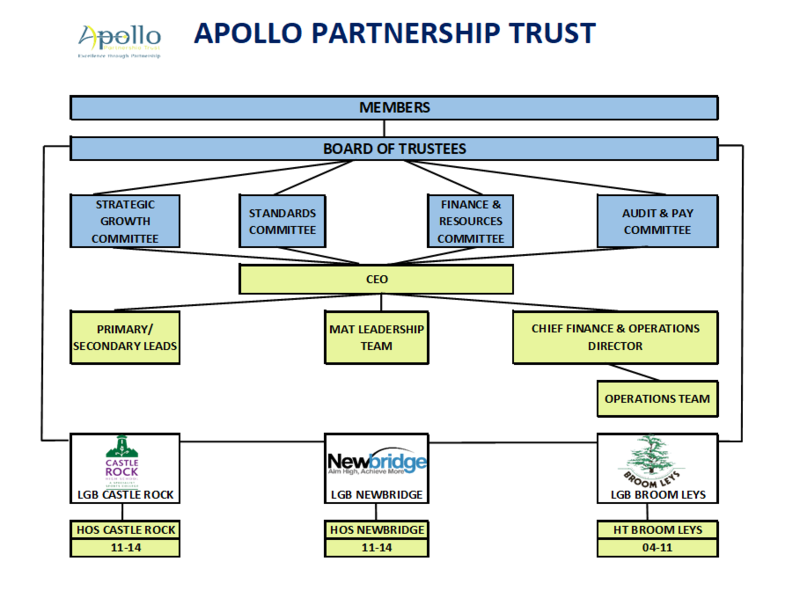 The Board of Trustees will be the chief decision making body for the Apollo Partnership Trust. The Board will have overall responsibility to the Department for Education (DfE) and will be accountable for: admissions, staffing, finance, premises, curriculum, well-being and safeguarding, accountability for educational results and reporting requirements to the DfE, the Education Funding Agency (EFA) and Ofsted. The board will also be responsible for appraisal of the CEO.